Start a discussion around any topic and learn from the best minds in email marketing. Troubleshooting a problem with your markup? Ask a code question and let the Community help out. Access a growing collection of articles and tutorials on email design and strategy. 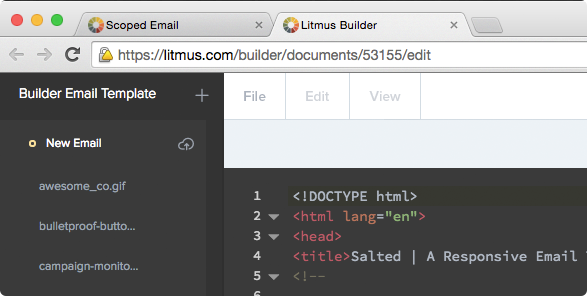 ^ Powered by Litmus.com: beautiful email testing and analytics. You can find and remove any private information that may appear in this email. Enter whatever you want to remove in the box below. We found and removed 2 instances of in this email. Could not find any instances of in this email. Please make sure you enter it exactly as it appears in the email. We’ve successfully exported your scoped email into builder. We just opened a brand new tab in your browser, in there you’ll find your scoped email ready to be edited.